Office Reveal by Perfectly Imperfectly. 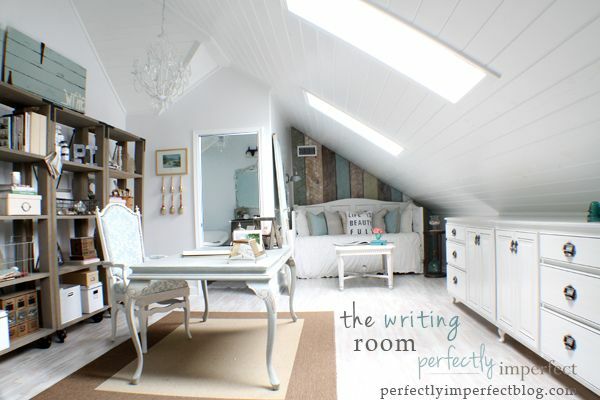 This room was gorgeous before so it is hard to believe that it just became even more beautiful! Kitchen Reveal by The Money Pit. 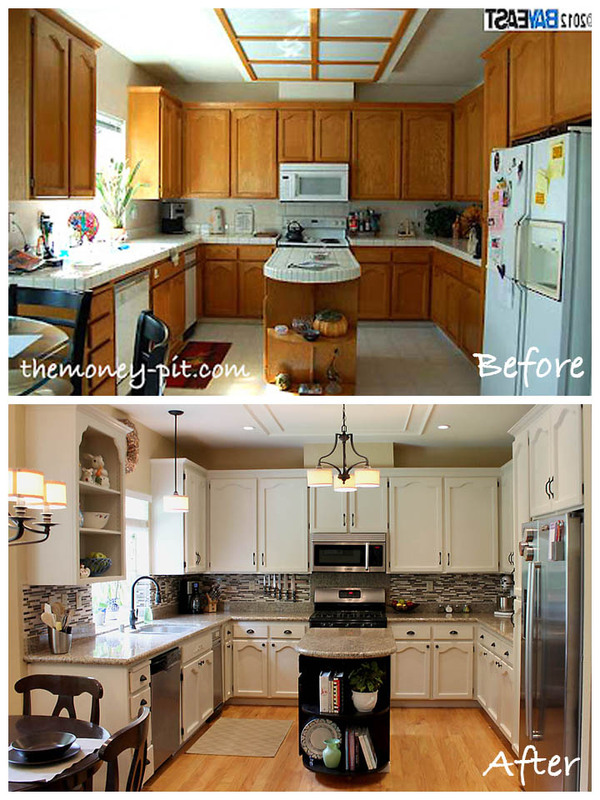 Beautiful transformation of a dated kitchen! Study Nook Cloffice by Painted Home Designs. Chalkboard Wall Frames by Charming Zebra. I love the simplicity of this focal point! 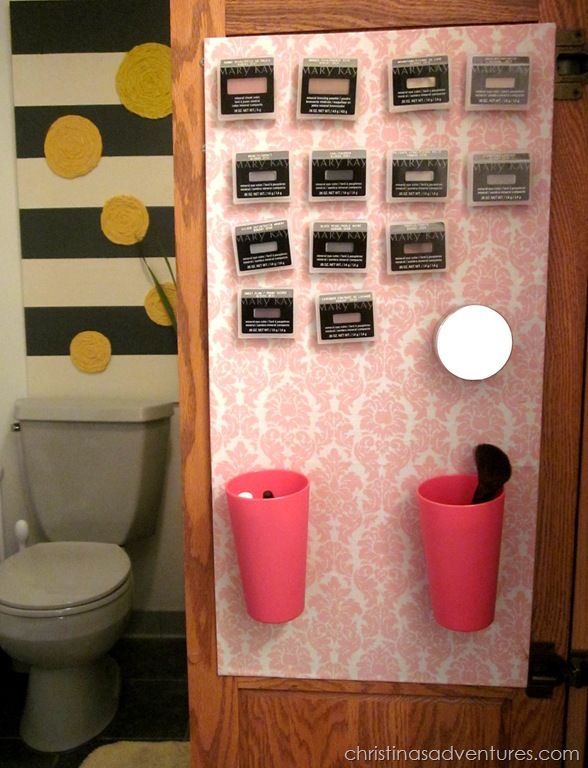 DIY Locker Accessories by Sassy Style Redesign. I think it’s safe to say that her daughter will have the cutest locker in the school! Napkin Covered Drawer Pull by In My Own Style. Pure genius! Spoon Mirror by Little Things Bring Smiles. These look like so much work but create such a big impact. How to Create Easy Pillow Slipcovers by Bungalow. As a fellow toss pillow addict, I heart all tips on pillows! Faux Fireplace Makeover by Sophia’s. The chalkboard “fire” is adorable :). Blue and White Kitchen Table Reveal by Design Stash. 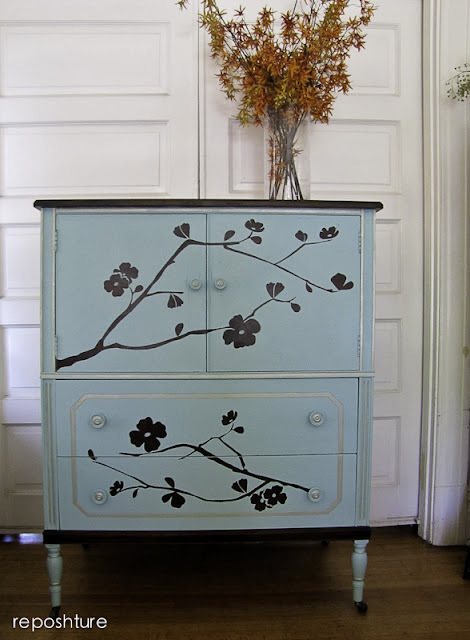 Cherry Blossom Bureau by Reposhture. I am loving all of the peekaboo wood stenciling we are seeing lately. This piece turned out beautifully! 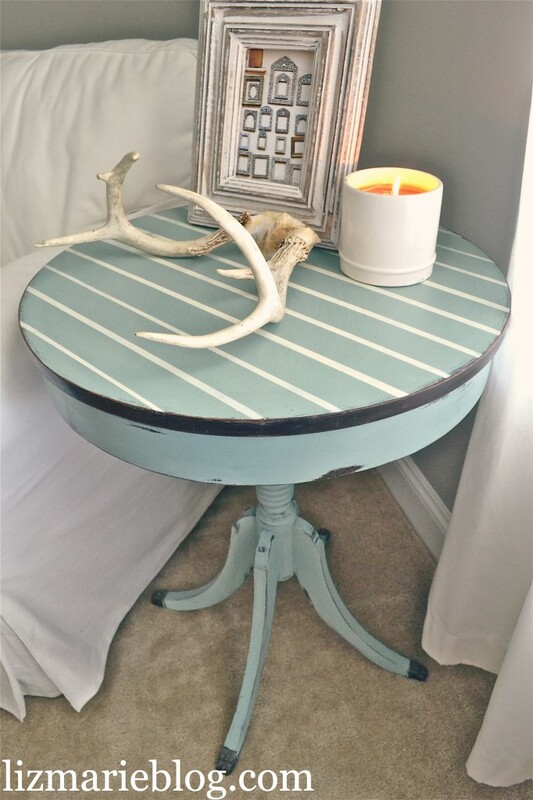 Pinstriped End Table by Liz Marie. How to Build a Vintage Toolbox by Turnstyle Vogue. This looks easy to do and creates a fantastic fall accessorie! 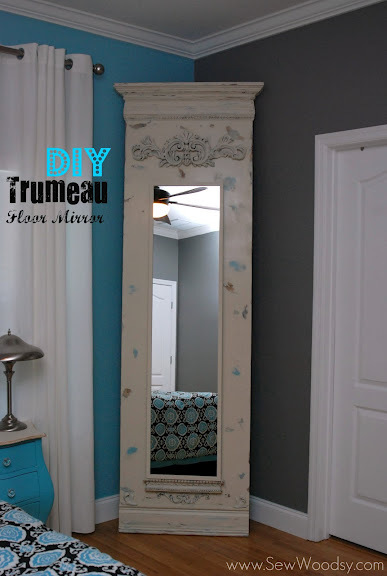 How to Build a Trumeau Mirror by Sew Woodsy. The tutorial for this project is long and very thorough with beautiful end results. 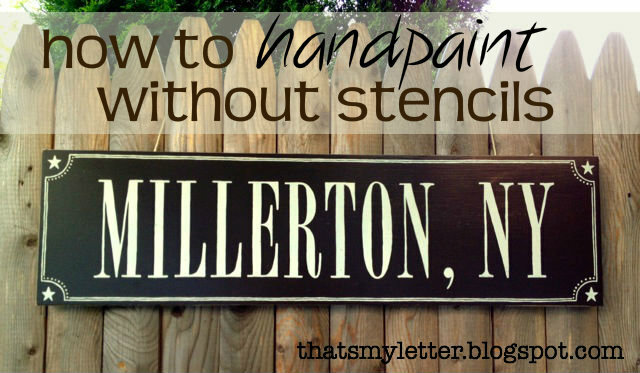 How to Handpaint a Sign in Any Font Without a Stencil by That’s My Letter. Many times the best tips are the simplest! Magnetic Makeup Organization by Christina’s Adventures. I have been wanting to do this for awhile. Wouldn’t it be great if our makeup just came with magnets on the back :)? 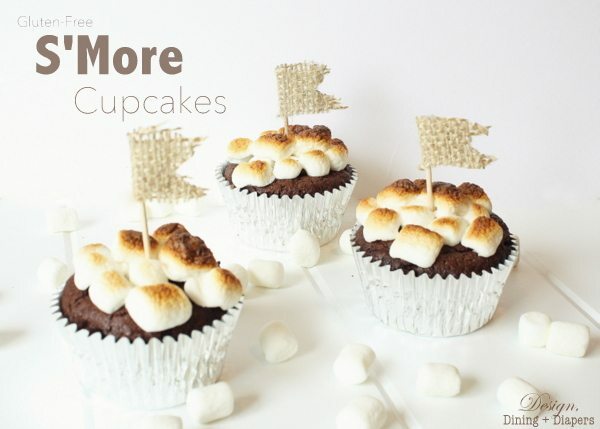 Gluten Free S’mores Cupcakes by Design, Dining & Diapers. My boys eat gluten free and would love these cupcakes! This recipe is easily adapted to those who are gluten eaters as well. Thanks to everyone for linking up and linking back! Your projects and talent never cease to amaze and inspire me! I’ll see you tonight at the party. Thank you so much, girl! I looove my little room & I’m sure it won’t be the last time I play around with the look. You’re so sweet to feature it! Thanks so much for featuring my chalkboard wall arrangement, Beth! (It’s fun being in such great company.) I loved looking at all the other beautiful and creative projects. Great features!! What gorgeous rooms!! 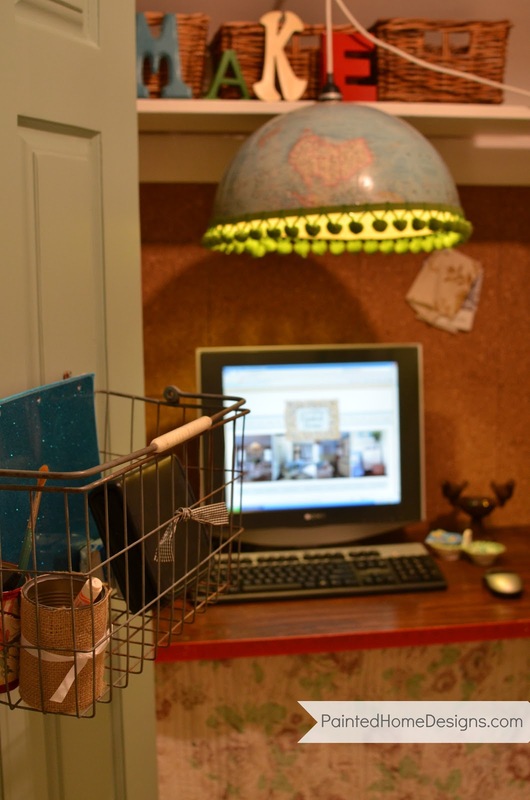 And that globe lamp…swoon! OH my goodness! So excited to have my cupcakes featured! Thanks so much Beth, really great features. Thank you! Thank YOu! Thank YOU! What an excellent surprise! I truly loved painting this bureau and it wil be hard to part with it but I hope it inspires people to try something like this! Thanks for sharing my faux fireplace this week! So many wonderful features out there! I’m lovin’ those peekaboo wood dressers too…going to have to try one of those! WOW! Seriously great features this week…..serious talent out there! Is there more than one way to say THANK YOU? If so, pretend I just said them 🙂 I’m glad you like my fall caddy. Have a wonderful evening! Thanks so much for featuring my kitchen! I couldn’t be more pleased with how it came out on my shoestring budget! And thanks for hosting a great party every week.. I look forward to it! Second time I’ve seen the spoon mirrors today! I love them! Great projects that you featured, Beth! Beth thank you, thank you for including my how-to paint any font tut. You’re right in that sometimes the best (and dare I say easiest?) tips are the most simple. Anyone can do it, no special equipment required. Just goes to show that you don’t need fancy equipment to create beautiful things! Love your tip! You’re welcome Christina! I envy all of your organized makeup. Mine is currently scattered all over the floor in the corner of my bedroom (which is where I get ready each day–weird but true). Thanks so much for the shout out! I so appreciate it and you made my week! I bet your daughter is ecstatic to show off her new locker accessories. You’re a good mom Tausha! Thanks for the feature! 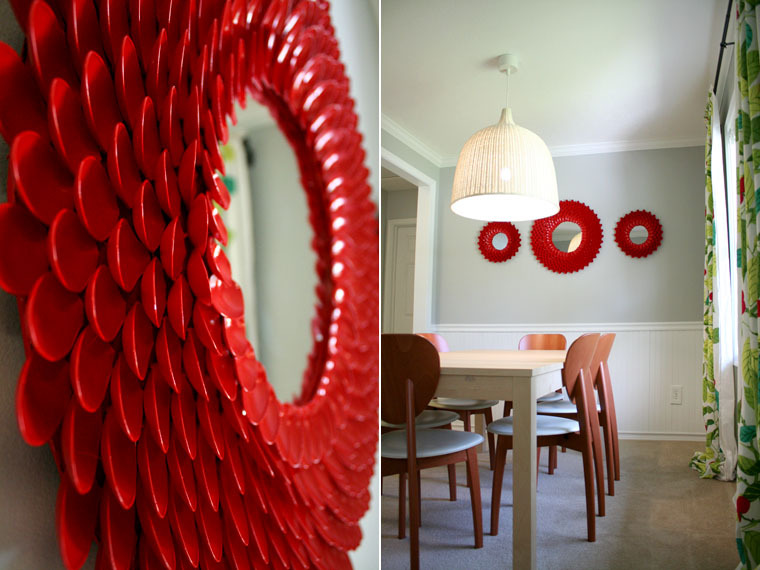 I love all the projects you featured this week especially the spoon mirror! Amazing! Loved your thorough tutorial and seeing pics of your power tools :)!